When this picture was taken, the card catalogue's days were numbered. By 1995, computer terminals with digital databases had replaced the paper files. Since it opened in 1961, the Horrmann Library has seen many changes. 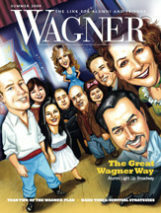 Next year, Wagner Magazine will celebrate Horrmann's 50th birthday. Please contribute by sharing your memories and pictures of Horrmann Library. 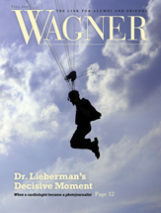 Write to laura.barlament@wagner.edu or Wagner Magazine, 1 Campus Road, Staten Island, NY 10301.